In a small bowl, combine Gushers™ fruit snacks, Cookie Crisp™ Sprinkles cereal, pecans, cranberries, and raisins. Dip the top part of each sugar cone into the frosting, then into the chocolate sprinkles. 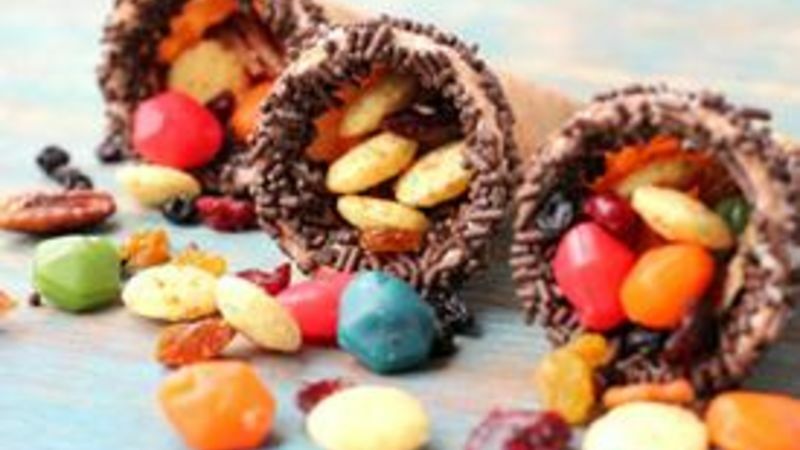 Allow to dry slightly before filling each sugar cone with your trail mix.